The latest in Remote Dummy Launching - making retriever training easier and more productive! 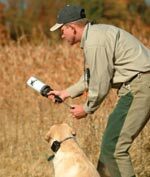 Introducing the latest development in the world of dog training and retriever training technology - the New Super Pro Remote Dummy Launcher, by D.T. Systems! The new RDL1209 incorporates D.T. 's Super Pro hand-held Dummy Launcher unit (a long-standing leader in the field) and pairs it with a small, compact, portable, and lightweight remote launching system. Now trainers have the ability to launch dummies from a remote location from up to 1,200 yards away! The system will handle up to 16 launchers programmable to one hand-held transmitter - perfect for setting up blind retrieves, multiple retrieves, or setting a course for hunt tests or field trials! 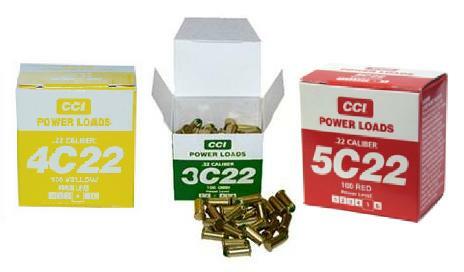 It operates with the same .22 caliber blank firing method as the hand-held version that has become famous. And the RDL1209 utilizes many of the same patented features that have made DT’s Super Pro Remote Dummy Launcher a long-time winner....Dual port Exhaust for maximum range and reduced recoil with any given load, Solid Aluminum and Stainless steel construction, self-contained firing pin mechanism for long life, and convenient shell loading and extraction system. Need additional remote launchers? Check out the RDL1205. Already have a hand-held launcher, but want the benefits of this new remote option? 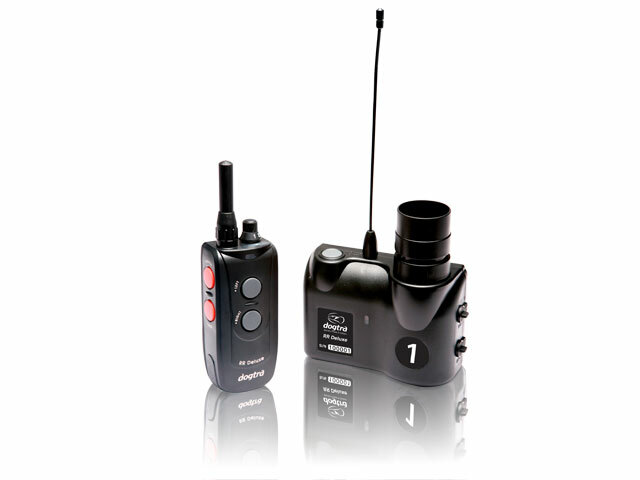 Check out the RDL1202. There's a solution for everyone! D.T. Systems...Dog Tested...Dog Tough...Since 1983.